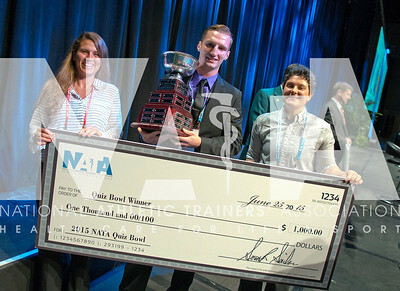 Renee Fernandes/NATA Alicia Valente, left; Brendan Curtin, left; and Samantha Noe, CSCS, from District One are the winners of the annual Quiz Bowl. 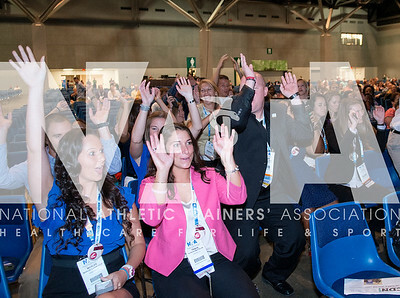 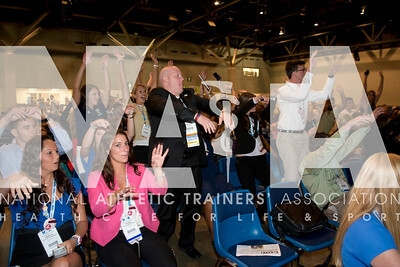 Renee Fernandes/NATA The crowd participates in the wave as they cheer on their teams during the annual quiz bowl. 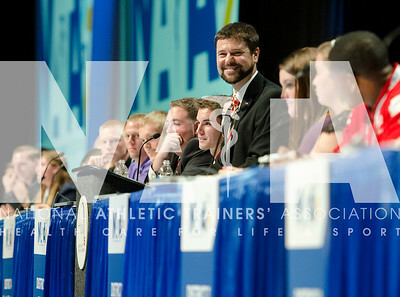 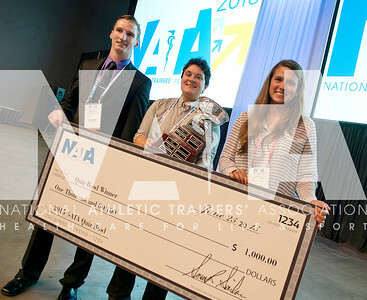 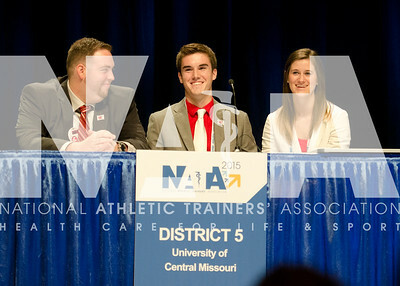 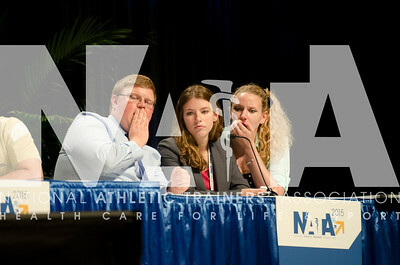 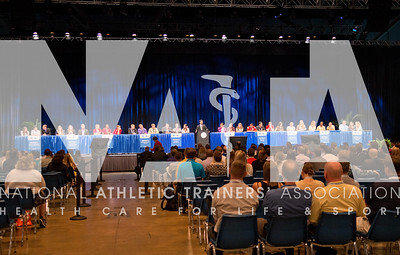 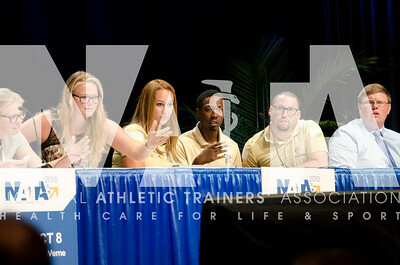 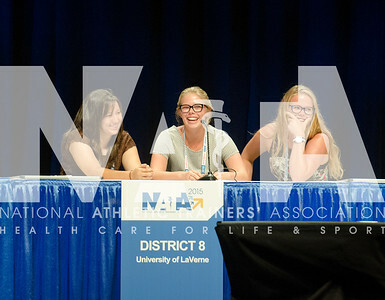 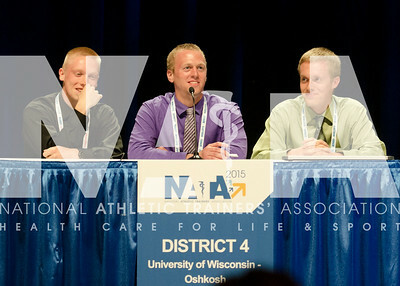 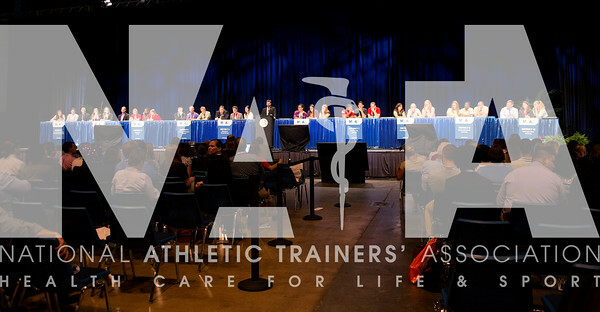 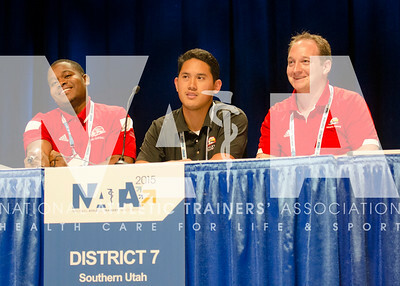 Renee Fernandes/NATA Greg Janik, MS, ATC, LAT, from Kings College, has moderated the quiz bowl for the 7th year in a row. 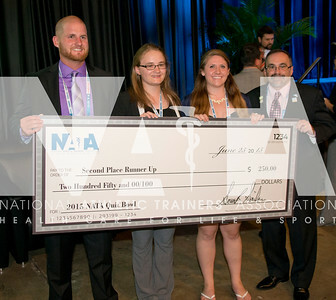 Renee Fernandes/NATA Mark Tomaszewski, left; Allison Gardiner and Rebecca Tyrpak, ATC, of District 2 and pictured with Michael Goldenberg, won third place in the annual quiz bowl. 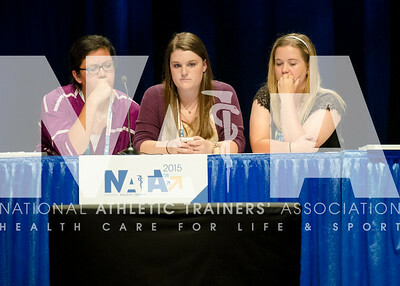 Renee Fernandes/NATA Krista Kelly, left; Daniel Evans and Whitney Shifflett, from District 3 won second place in the annual quiz bowl. 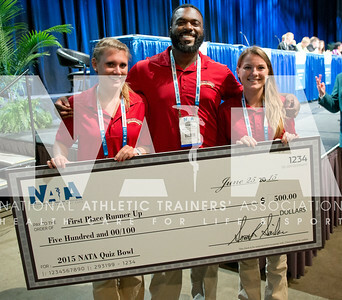 Renee Fernandes/NATA Brendan Curtin, left; Samantha Noe, CSCS and Alicia Valente, from District One are the winners of the annual Quiz Bowl.